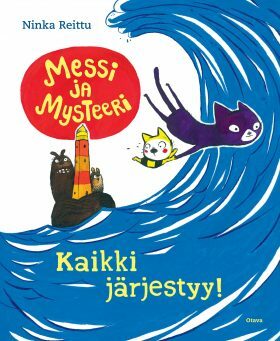 Messi and Mystery Cat series: Everything Will Be Fine! The mid-most of the middle kittens of the Top Pot cat family, Messi often gets lost in thought. When the family goes to visit Grandma, Messi accidentally ends up the wrong train, and it looks like things are going to go badly awry. Luckily Messi meets Mystery, a cat who seems to know everything, can do everything, and assures Messi that everything is going to be just fine.